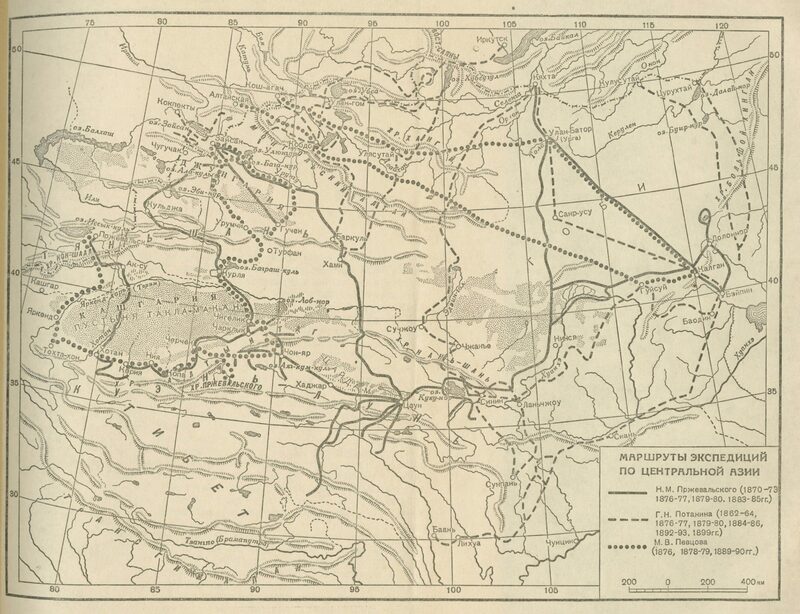 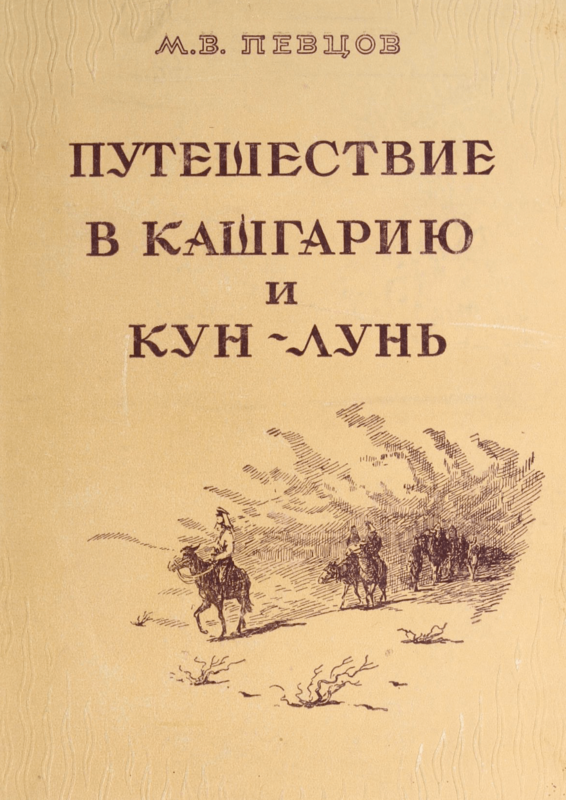 This map of Eastern Turkestan and Mongolia can be found on p. 5 in Путешествие в Кашгарию и Кун-Лунь [Journey to Kashgaria and Kunlun], written by the Russian explorer M. V. Pevtsov and published in 1949. It is a pencil sketch map marking out the different travel routes made by the author between the years 1876 and 1890. 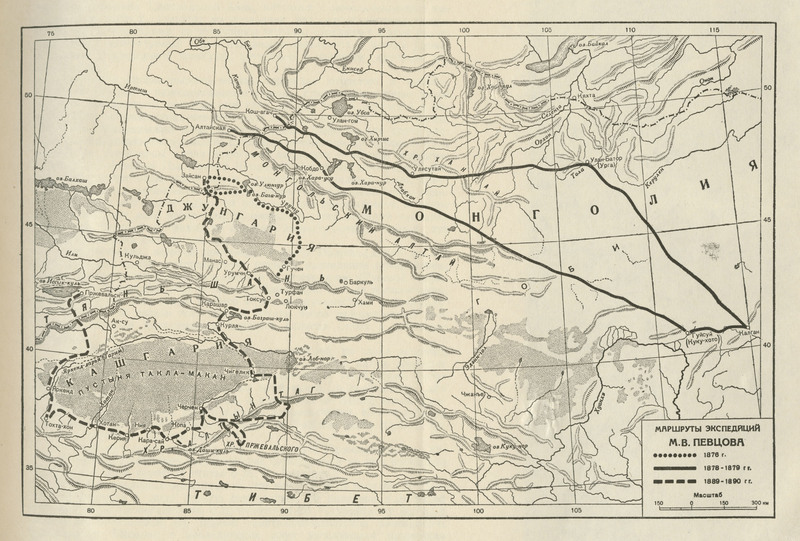 According to the map, Pevtsov traveled in the Dzungaria region north of the Tian Shan Mountains in 1876, in Mongolia and through the Gobi Desert in 1878-1879, and in Kashgaria and the Kunlun Mountains in 1889-1890. 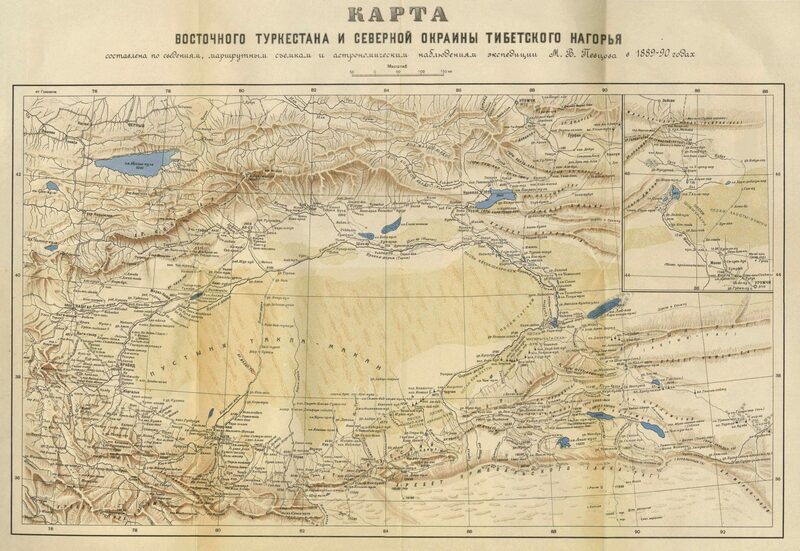 The book contains two more maps, one showing the Kashgaria region in greater detail, and the other the travel routes of other prominent Russian explorers in the same region.